With a Boat Owners Insurance policy from BLC Insurance Services, you can relax and enjoy your time away knowing that you're properly insured. We offer many coverage options to keep you, your boat, and its passengers safe. BLC Insurance can advise you of the best way to cover your watercraft. Our independent insurance agents have both statistics and anecdotal evidence on their side that can help you decide between the types of policies available. 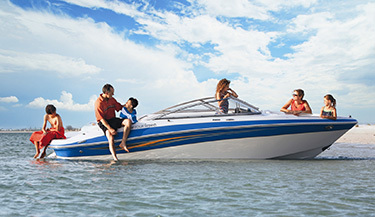 Give us a call today so you know you're protected and you can get back to enjoying life on the water.